If you drive 30 minutes north from Philadelphia, you’ll find Montgomeryville, PA, the site of Expedition Escape’s newest location. Our team spent an afternoon at their facility hosted by the owners. It’s a rare treat when we get to have deep discussions with the people responsible for creating the companies we come across in Canada and the USA, but in this case it was a particular joy. Why so you ask? Because the owners were also escape room enthusiasts and understand the industry from a broad perspective just as much (if not even more) than we do! 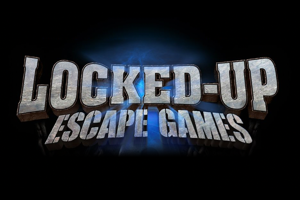 When we heard they’ve played over 300+ escape rooms, we knew we were in the presence of people who genuinely had a good understanding of what people are looking for in an escape room and not just self-proclaimed experts. But enough about that, let’s get to the first room we played at Expedition Escape… The List. Our initial impressions as we drove to the company were good. It was easy to find from the street address, there was lots of parking, and the signage was clearly visible. The lobby is quite spacious and well-suited for large groups and corporate events. Drinks and snacks were available for purchase from a vending machine. A neat feature they have is customers can acquire a passport which gets stamped with each room you complete (success or fail). When you acquire enough stamps you get treated to your choice from a variety of items which is a nice little touch that shows the customer comes first at Expedition Escape! A neat little video explaining your mission in Santa’s workshop provided the right amount of campy fun to be enjoyed by everyone of all ages. The room quality was solid and we were impressed with a couple of the design features within. Solid materials (wood, metal, hard plastic) were used throughout and at no point did we feel restricted by items being fragile or ‘off limits’. In this case there wasn’t a huge ‘wow’ factor, but at the same time we couldn’t find any faults within the design of the room. Overall it was impressive and a really good part of our experience. The puzzles were straight forward and well designed. There was a good variety of challenging and simple puzzles, and we further appreciated the effort of trying to avoid duplicating common puzzles at other escape rooms. Puzzles were mostly inclusive and for the most part linear. A good amount of puzzles and puzzle types were also used. There weren’t any specific teambuilding puzzles (requiring two or more people to complete together), but the inclusive nature of most of the puzzles compensated more than enough for our group of three people. We’d say the sweet spot here is 3-5 people if you want to maximize your participation while having the right amount of minds working on solutions. But was it fun? We thought so. Will it blow your Christmas stockings off? No probably not, but it’s a well designed room and we could tell it was made by enthusiasts who’ve done their homework. There’s another room we loved at Expedition Escape but we don’t want to turn people away from this one, so we’ll say if you’re new to escape rooms or haven’t done too many, this is an EXCELLENT room to choose. It’s well suited for most age groups and again, we’d suggest a group size of 3-5 people depending on your experience level and desired amount of engagement with the puzzles.